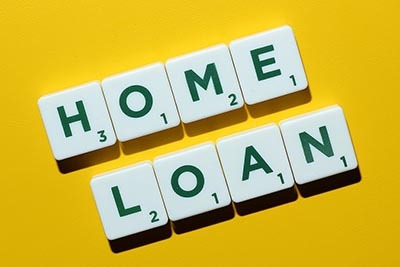 Rising mortgage rates likely caused demand for new home purchase loans to fall drastically in the fourth quarter while also prompting more owners to refinance. In its latest U.S. Residential Property Loan Origination Report, ATOMM Data Solutions’ says that 595,000 purchase loans were originated in the fourth quarter of last year, down 26 percent from the third quarter and 12 percent year over year. In a statement accompanying the report, company Senior Vice President Daren Blomquist attributed the decline to higher mortgage rates, noting that the share of all-cash buyers and average down payment size rose quarter over quarter. Americans secured 88,836 refinance loans in the fourth quarter, up 20 percent on an annual basis. That translates to $246 billion, a gain of 27 percent from the fourth quarter of 2016. “The increase in refinance originations is surprising given the rising interest rates in the fourth quarter, but many homeowners may have been trying to lock in still relatively low interest rates before those interest rates rose further,” Blomquist said. It’s all about the West Coast when it comes to American wines, according to a new report. And while Napa and Sonoma counties of course rank high, Alameda County is also a prominent destination for vinophiles. That’s according to a recent study by SmartAsset, which ranked the 25 best U.S. counties for wine in 2017 based on concentration, number, and quality of wineries. More than half of those counties are located in California, with Napa and Sonoma ranking No. 3 and No. 5, respectively. Those two counties also have the most total wineries in the nation, as well as the highest concentration. The other Golden State counties that landed in the top 10: San Luis Obispo (No. 4), Alameda (No. 6), Santa Barbara (No. 7), San Joaquin (No. 9), and Amador (No. 10). The Pacific Northwest claimed the top two spots, with Yamhill County, Oregon ranking No 1. and King County, Washington at No. 2. Bay Area rents may have finally reached unsustainably high levels, as prices in both Oakland and San Francisco have fallen by about 10 percent from last March. Zumper’s latest rent report puts the median monthly rent for a one-bedroom unit in San Francisco at $3,270 — still the most expensive in the nation but down 1.2 percent from February and 8.9 percent year over year. Oakland saw even bigger declines, with the median $2,000 monthly unit renting for 5.2 percent less than it did last month and 11.1 percent less than in March 2016. Rents are also softening in Silicon Valley, though not quite as dramatically. At $2,180, San Jose is the country’s fourth most expensive rental market, with prices down 2.7 percent moth over month and 3.1 percent year over year. IS SILICON VALLEY’S ECONOMIC FOUNDATION SHOWING CRACKS? Although Silicon Valley’s economy continues to lead the U.S. for innovation jobs, high housing prices and rents and crippling freeway congestion pose challenges for the region’s economy moving forward. The Mercury News reports that Silicon Valley grew innovation jobs by 8 percent in 2016, the highest rate in the nation. The region has a total of about 479,000 innovation jobs, ranking it No. 3 in the U.S. behind the much larger Southern California and New York metropolitan areas. But worsening traffic means that it is taking those Silicon Valley workers 15 percent longer — an average of 70 minutes per day — to get to and from those jobs than it did seven years ago. And of course, the region’s well-documented housing shortage could restrict the number of employees who can afford to live in Silicon Valley. Since 2010, the region’s population has grown by 6 percent while new housing units increased by 2.6 percent.